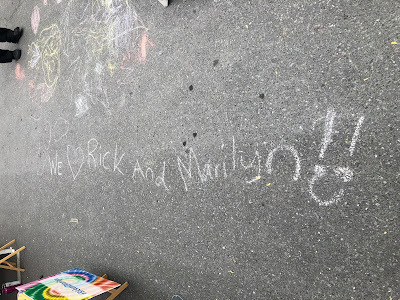 Rick and Marilyn: We love Rhinebeck Farmers Market!! We love Rhinebeck Farmers Market!! We got a lot of love today at the Rhinebeck Farmers Market! What a warm, friendly market! People singing and dancing with our music, lots of smiles and good feelings, made for a wonderful day!! We hope your day was a good one too!